The Supreme Court on Monday prohibited the plying of 15-yr-old petrol and 10-yr-old diesel vehicles in the national capital region (NCR) and directed the transport department to announce that such vehicles will be impounded if found plying. The directions were passed on the basis of suggestions put forth by amicus curiae Advocate Aparajita Singh. The court noted that three of her suggestions were “eminently reasonable” and directed that these be implemented with immediate effect. The feasibility of implementing the other recommendations will also be considered by the court on November 1. The Transport Departments of NCR will immediately announce that all the diesel vehicles more than 10 years’ old and petrol vehicles more than 15 years’ old shall not ply in NCR in terms of the order of the National Green Tribunal dated 07.04.2015. The order of the National Green Tribunal was challenged in this Court and the Civil Appeal was dismissed. Vehicles violating the order will be impounded. The list of such vehicles should be published on the websites of the Central Pollution Control Board (CPCB) and the Transport Departments of NCR. Similarly, a meaningful advertisement should be published in a local newspaper for the convenience of the owners of the vehicles. CPCB will immediately create a social media account on which the citizens may lodge their complaint directly to be acted upon by the Task Force responsible for implementation of Graded Response Action Plan. 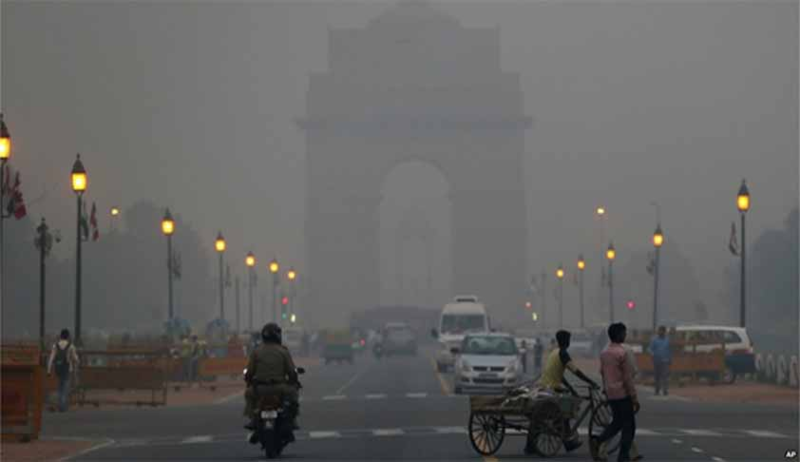 The last direction, it said, was being issued “in view of the more or less critical situation in NCR, particularly in Delhi with regard to air pollution”. The court was also presented with a note prepared by the Chairman of the Environment Pollution (Prevention & Control) Authority (EPCA), containing photographs showing the “terrible state of affairs with regard to pollution” in various parts of Delhi. Taking note of these photos, the court said that it is for this reason that it was compelled to pass the directions in the first place. It then ordered the Delhi Government and the Delhi State Industrial and Infrastructure Development Corporation Ltd. to file an affidavit within two days, elaborating on the ground level enforcement of directions issued and actions taken at the hot spots of NCR.